Local search is useful if you have a local business. If you are running a delicatessen, a hairdressing business or a local restaurant, what benefit is it to you to get global exposure online? How does it help your local business for your listing to be seen by somebody in Melbourne, Australia or New York, United States? In short, it doesn’t! This is where you need to focus on your local neighborhood and compete only with other similar businesses in your geographical area where it is a lot easier to get a top ranking than competing worldwide! Google’s local search enables you to do that. 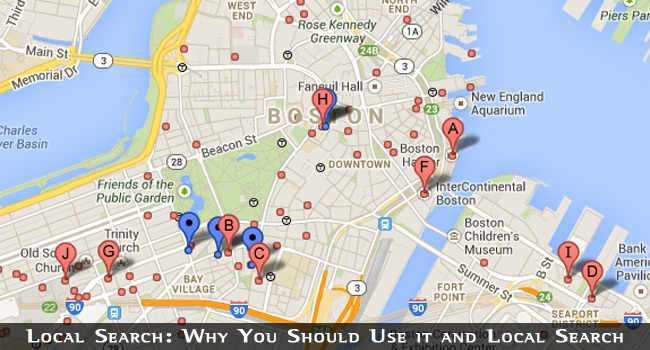 So what is local search and how do you use it? Local search is used by people who know what they want to buy, and that are using their computer or mobile device to find a business in their area that provides what they want. This type of search is widely used by many different types of people seeking many different types of product or service. According to EZLocal, around 70% of people that use the internet to find offline services or products use local search. Chitika has reported that 20% of all American Google search traffic in September 2012 contained a geographic reference such as ‘Irish restaurants in Boston.’ This is rocketing with the increasing popularity of smartphones which are extensively used to find local information. There are many wild statistics being quoted, but what cannot be denied is that local search is increasing in popularity, as is the use of geographically-specific searches. People hunting for restaurants, cafes, art galleries, theaters, etc, are now using Google on their smartphones to search on the hoof. Cluj-Napoca’ or wherever you are. You don’t even need the geographical reference. Google can tell where you are, and will list local garages for you. Your search results will include local car mechanics with a business listing. The three results with addresses are the local search results. There were more in this search and each is pinned on the accompanying map. These listings are organic and free in comparison to the other listings shown which are paid adverts. Local search can get you right to the top of the listings, ahead of other listings that have not been registered with the Google Business Centre. If you have a website, then the link will lead directly to your site. If not, then it will show a page with your business details on it, including business hours, directions, and any photos and videos you have included. You can also view its location on Google Maps and also find a Street View for it. But how do you create a local listing? Login to your Google account. If you don’t have one, you will be asked to create one. Click the link and create an account: follow the instructions. It is very easy – all they ask for is an email address and password. If any of the listed businesses belong to you then you can claim it as yours. If not, click the bottom link. You will then be given a form in which to add all your business details. Fill it in as completely as you can, including any photographs and videos (external or internal) that you have. The more information you provide, the higher your listing may appear. You will then have to verify your listing, either by phone or snail mail. Once verified and approved, your listing will appear in the Google rankings for search requests that include your main keyword(s) and geographical location. You can now add another listing. This can be a new business or another location for your existing business. You can do this for as many businesses or locations as you wish. 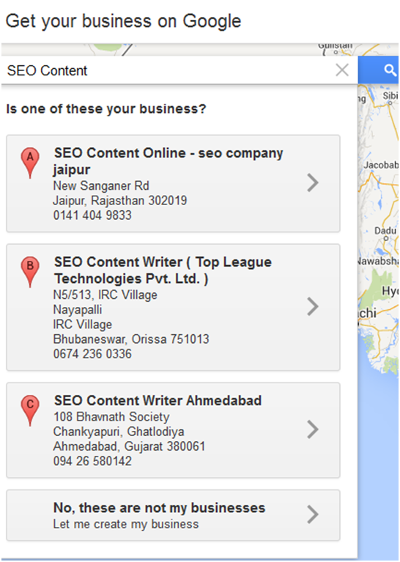 Now, your business listing will be ranked if a search is made that defines your geographical location. List Multiple Locations: If you have more than one location, you should have more than one business listing. You should also create a separate page for each location, and use that page as your listing. That way, prospective customers can see that you have more than just one location. 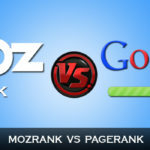 Like any other form of search engine listing, you have competition in the rankings. In this case, your competition is local: other firms in your city or locality in your line of business. 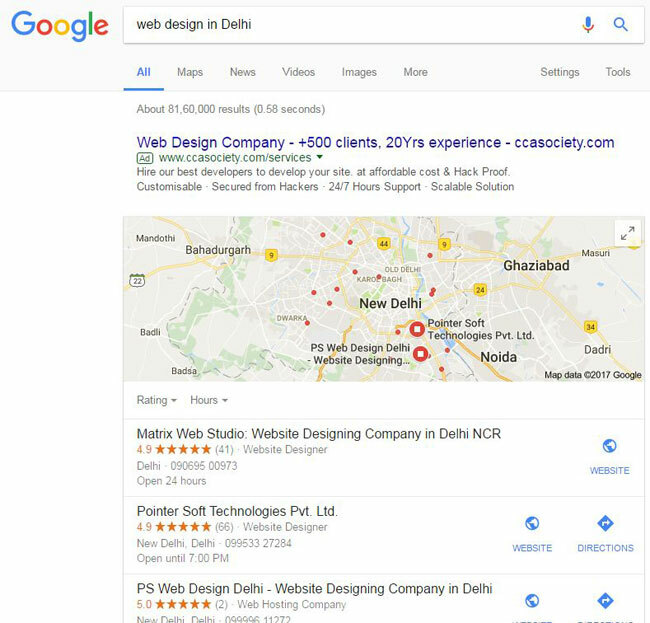 Sure, a local listing will hike you way up close to the top of the search engine results page, but the closer you are to that #1 spot the better. There are several local search SEO strategies available to you that can a) improve your ranking, and b) improve your click through rate due to the popularity of your business in the local community. Many of these are common to the regular web page and blog SEO that we have discussed in an earlier post, but there are also some aspects of local search SEO that are unique to local business listings. It is important not to forget the routine nuts and bolts of website or blog structure and SEO. The fact that your local business site may not be competing worldwide does not mean that you can ignore or relax best practice SEO standards. You should avoid all the pitfalls such as excessive keyword usage, duplicate content, purchased links and other black-hat SEO techniques. Although a web page is not essential for a local listing, it definitely helps, and if you have one you should optimize it just like any other web page. However, there are some specific online and offline actions you can take to maximize your local search SEO and to become more prominent in the local community. These relate to the listing information you provide, how you interact with other local businesses, citations in other publications and how you use Google+ Local and other social media. 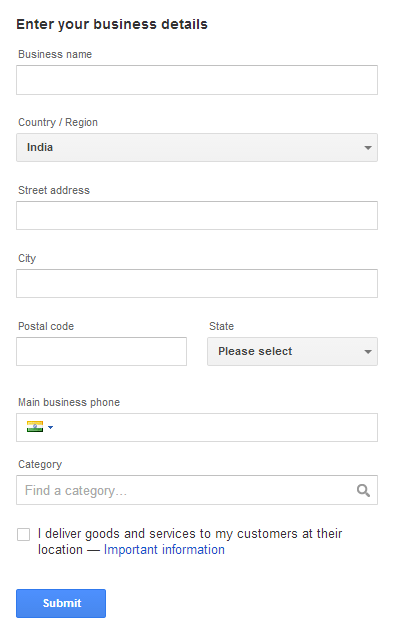 Let’s start with the ‘Add a Listing’ form, whether this is your first listing or you are adding listings to an existing Google Local account. Business Name: This must be your legally registered business name if you have one. If you don’t, and simply run a local service such as ‘Dave’s Garage’ then use that. There is a general belief, not without some truth, that including your core service or product in your business name will help get ranked higher than any competitors without this. Irrespective of this, you must use exactly the same form of name everywhere it appears online. Consistency in name, service and contact details is very important. Address: Use the same address for every link between publications of your business details. If you have more than one address, use each as a separate listing. Main Business Phone: Use your area code here. Do not use a 0800 number. Google uses various pointers towards your geographical location, including the telephone area code and postal zip code of your site. Use the same area code number on your website, Google+, Facebook and all other online publications. Your telephone number will be used as a link between Google+ and your website or blog. Your 0800 number can be included as a secondary option. Category: It is extremely important that you select the correct business category. The box allows you to enter a keyword for your main business activity and then offers some predefined options. You must select one: in older versions, you could create your own category but this is being phased out. Enter what your business is, not what it sells or the service it provides. The blue highlight was added by Google when I entered ‘fish.’ You can accept that or choose one of the other options. Try to get as close as possible to what your business is about – if you cannot find anything suitable try synonyms, for example rather than ‘car repair’ use ‘auto repair.’ Keep in mind that the majority of Google uses American terms! 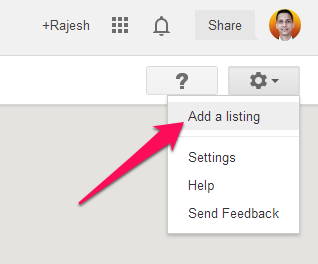 If you are using a similar form found on Google+ (discussed shortly) you get to add multiple categories. 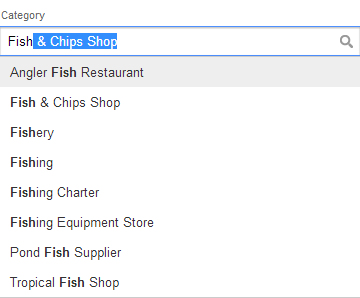 The reason for using the correct category is that if somebody is looking for a ‘fish and chips restaurant, Boston’ then you should be listed as a ‘fish and chips restaurant’ to be found and get the best ranking position – not as a ‘chip shop’ or ‘seafood restaurant’ for example. The new Google Hummingbird algorithm might change all this. 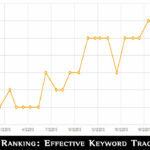 It is designed to extract the sense of the search term used, not simply to follow keywords. It is too early to assess its effect on local search. It is always good SEO to optimize the Title and Meta description tags that appear in the Head section of your web page HTML and that can be inserted or edited in your version of your blog’s SEO plugin. 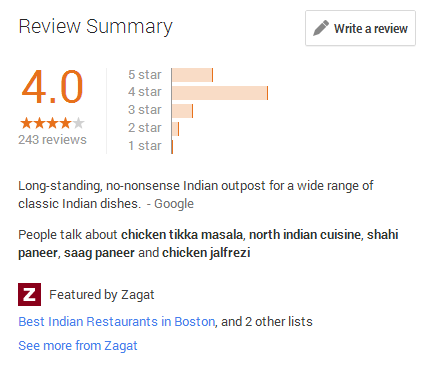 In saying that, you should fully understand that a search carried out in Boston MA would likely give the same results without the geographic reference in either the search term or the listing Title tag. That’s because the local search in your own location will offer local results unless you state otherwise. However, if you are offering a service that visitors from another area might seek in advance, then they will use the geographical reference and you will benefit over those listings that do not. Anybody serious about promoting their business online should have a Google+ business page. Once you have registered with Google, you can log in to your account every time you load up Google. Click on the Google+ (or YourName+) tab and you will go to Google+. Scroll down the left-hand side to the ‘Local’ page and you will be able to enter a service, product or keyword and find all the local listings that meet your search criteria. This information comes from Google+ business pages. To get listed here, and link your general local and Google+ local listings, you must first create a Google+ business page. Click on the ‘Pages’ link. Most of your professional data may already have been added by Google, depending upon what you have already provided in your account. Google+ is where you can set up Circles and communicate with people on Hangouts. You can also publish news about your business in the local community. This will enable you to become more involved locally and get your business better known. If you connect everything together with a Facebook business page, then you will have set up a very powerful network that will do your listing a great deal of good and enable your business to thrive in its local environment. A Google+ Circle is a form of social networking where you can add people to your circle and others can you to theirs. There is no agreement needed such as with Facebook friends. It is more akin to ‘following’ on Twitter. By being active on your Google+ business page, you can be added to the Circles of many prospective clients and customers. 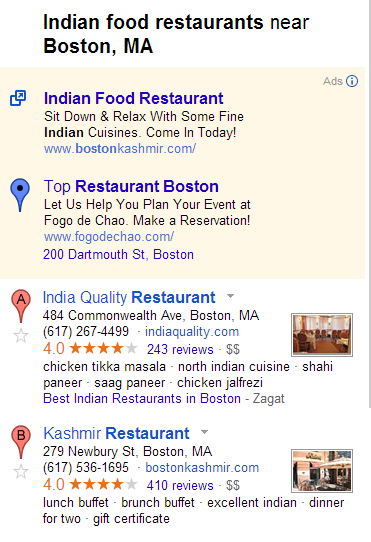 This is a very useful aspect of local search SEO. Another major aspect of your Google+ page is that you add authority to your site, and can link it to your main website or blog. This is easily done by connecting the two through a common email address. You can find more information on Google+ in SEO on our blog post: Author Rank and Google Plus 1: Effects on Google Ranking. Make sure that the landing page linked from your Google+ page to your website contains your geographical data: your business name and address, plus also your telephone number with area code of course. Fail to provide common phone numbers between every web page, Google+ and local listing and your ranking will suffer. Your 0800 number can be listed as an alternate number, but not the primary phone number. It has been estimated that about 25% of local search SEO involves each of linking (including Google+ and other social media), online reviews of your business, website/blog optimization factors and local citations. A citation is a mention of your business name, with or without its address and/or phone number, and with or without a link. The phone number itself is a citation because it is unique to the company. A full citation includes the name, address and telephone number. It is not a link, but just a mention somewhere on the web. A structured citation is one that is published on a local directory website or the internet online Yellow Pages service, and that is published in a format that search engine spiders can easily scan. An example of such a format is the HCard microdata format, suitable for publishing contact data in (X)HTML, RSS and Atom. Examples of publications include Yelp, Kudzu, Yellow Pages, CitySearch, Bing and many others: check online for the more popular online business directories in your country. This is a form of local search link-building, but using your business name, address and telephone number rather than HTML links. 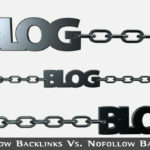 You have to use third party services to build the links, Whitespark.ca being one of the more commonly used in the USA. A web search should provide you with a similar service local to you. The company offers a free trial of its services which includes a search for existing citations for your business. One of the most important aspects of citations is that all of your data is consistent. For example, if you change premises or telephone numbers, it is extremely important that this change is reflected in all the citations for your company or business. Conflicting data can confuse Google and ruin your local rankings. The more citations you have the better. Local search is rapidly increasing along with developments in mobile technology. Make your site mobile friendly and easily resolvable in an Apple or Android cell phone screen. Many people will use their phones for directions to your premises, so provide these, or a link to directions, in a prominent area of your site. A good local search ranking will likely provide directions automatically, but it doesn’t hurt to also do it yourself on an internal ‘Directions’ page, with a link on your blog sidebar or website navbar. If you have a local business and want to promote it to the local community, a good way is to become involved in that community. There are various ways of improving your exposure in your locality and of getting local links back to your website or blog. Here are some of the more effective of these. A good optimization strategy is to write about the local area and its community. Let people know what’s going on locally, and look for ways to include local keywords in your content. It can often help to donate to local charities and perhaps have open days when locals can have a look at your premises and what you do. One successful Alabama car dealer offers a monthly cash prize to the local person voted by the community as having gone that extra mile to make the community a better place to live in. It is known as the Extra Mile Award, and provides more free advertising through the local press than spending the same amount on adverts could have achieved. A lot depends on your type business of course, but local involvement often brings local custom. Another good way for your site to become associated with the local community is to write occasional posts about complementary websites, blogs, and businesses in your local area. This enables you to use local search terms without keyword stuffing or artificially including them in general posts. Also, if you help local firms to promote their businesses online, it could lead to more business for you if you are not direct competitors. If you have more than one location, you can have more than one business listing. You should also create a separate page for each location, and use that page as your listing. That way, prospective customers can see that you have more than just one location. Local search enables people looking for a local service to find it easily online. If they are already in the area it will often come automatically, but if they are remotely located, then using a geographical reference in their search brings similar results. If you follow the above tips on optimizing your website or blog using local search SEO, you should achieve good results and a high ranking in the local results. If you have no website your business will still be found because your Google+ or local search listing details will be published as the search result.